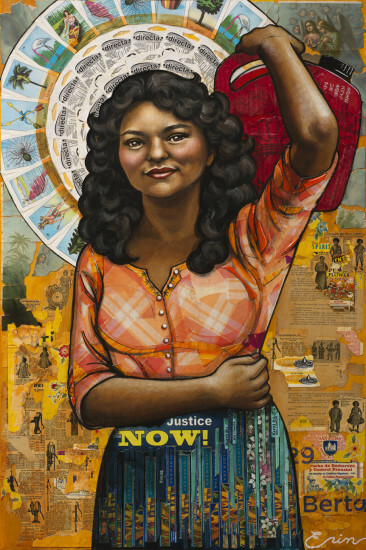 Berta Cáceres by Erin Currier. Berta Cáceres, Honduran indigenous and environmental organizer, was assassinated in her home in Honduras on March 3, 2016. One of the leading organizers for indigenous land rights in Central America, she co-founded the National Council of Popular and Indigenous Organizations of Honduras (COPINH). Cáceres was murdered in an attempt to silence the fight for environmental justice and land rights in Central America. These struggles are already silenced in the textbooks where little reference is made to climate change or Central American history. Teachers can break that silence. This is why the Zinn Education Project provides resources for teaching outside the textbook. 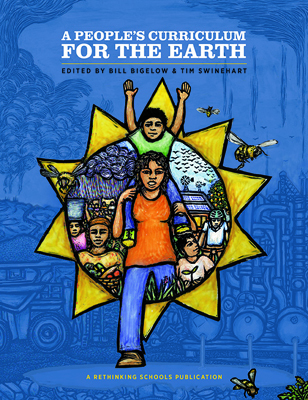 Check out the lessons and articles on climate justice in the teaching guide A People’s Curriculum for the Earth. There is a collection of lessons, books, and films on Honduras and other Central American countries online at Teaching About Central America. Our thanks to Erin Currier for generously allowing us to feature her portrait (36″x 24″ mixed media collage and acrylic) of Berta Cáceres. Book – Non-fiction. By Juan Gonzalez. 2011. An updated and thorough account of the role the United States in the mass migration of Latinos to the U.S.